Whatever else you might think about modern renaissance man/golfing enthusiast/fedora aficionado Justin Timberlake, know this: The dude respects punctuality. On Sunday night, when the countdown clock he dropped on us earlier this week hit all zeros, a fragile, tender hatchling — in the form of the first new Justin Timberlake solo material since 2006 — greeted the world. It’s called “Suit and Tie,” it was produced by Timbaland and features a verse from Jay-Z, it precedes a brand-new Timberlake album called The 20/20 Experience, which will be out this year, and it’s available for listening, at your comfort and leisure, right now. OK, let’s talk this out. And Magoo: In 2006, Timbaland behind the boards meant a man at the peak of his manifold powers, a man who’d dedicated the past few years to perverting the whole of pop radio as per his own twisted, thrilling whims. In 2013, Timbaland behind the boards means you just hired a guy most recently known for losing a fancy watch. 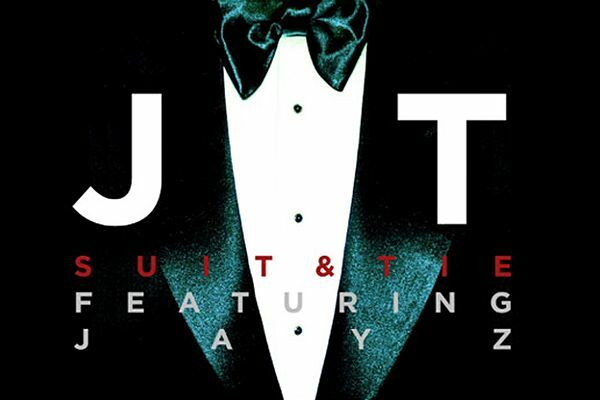 Timberlake re-upping with Timbo for “Suit and Tie” — and, at least according to early reports, the rest of his upcoming album as well — is, from one perspective, only sensible; this was the same combo, after all, that birthed the classics on Justified and FutureSex/LoveSounds. But Justin straight-up ignoring the inexorable passage of time — simply put, Timbaland is in no way the top dude in the game anymore — seems to suggest that something else is up. Is it begrudging loyalty? Fear of change? Or does Tim have really revealing circa 2006 photos of Justin in the Borat bikini? Whatever the cause, the result is the beat you hear at the link: perfectly competent, perfectly snoozy. Vocab: Some years back now, I was engaged in a fierce IM debate with an office buddy as to JT’s lyrical prowess. I was making the point that, while it doesn’t ultimately get in the way of him doing what he does, the dude writes some serious clunkers, and I was feverishly cutting-and-pasting lyrical snippets to prove that point. In the midst of all this activity I lost track of which IM box was which, which is how I ended up suggesting to my then-editor that “I can see us holding hands / Walking on the beach, our toes in the sand / I can see us on the countryside / Sitting on the grass, laying side by side.” Eventually we cleared it up, and he didn’t even fire me/sue me. But now here comes Justin, with some more groaners — “And you’re dressed in that dress I like / love is swinging in the air tonight” — taking me right back to that time I got into some accidental Internet-based sexual harassment. Get Out Your Seat, Hov: Timberlake has said he’s wanted a Jay-Z verse for years, and you can’t really fault him for grabbing one when he got the chance. But getting Jay just adds to the general “paint by numbers” vibe here: first new JT song in seven years! It’s a big deal! Jay-Z verse! Big big deal!, etc. I can’t help but feel that the track would have best been served by someone younger, hungrier — Kendrick Lamar, perhaps, or even better, Schoolboy Q? Let’s not forget that “Like I Love You,” Timberlake’s first big-boy single, had Push and Mal rapping about threesies. Soooo … Should We Be Worried? Timberlake released the track along with an open letter to his fans, in which he does his best to stay buoyant and carefree. It’s super awkward! Some people may criticize me for the last 3 days. But it was fun, right?? Right?!?! Besides, I’d rather speak directly to all of you. And, who can knock me for having a little bit of fun with it? I mean, it’s not like JT is going to come out and say “Why, yes, I am completely weighed down by the crushing expectations that seven years of absence can bring.” But there’s just no way it’s not a factor here. Who knows how much of The 20/20 Experience is actually done at this point? He’s only promised it at some point “this year.” Chances are, he’s testing the waters, seeing how “Suit and Tie” lands, and will adjust accordingly. Look, he’s a professional; he’ll kill himself not to disappoint. As if he’ll actually be able to deliver, we’ll just have to wait and see.